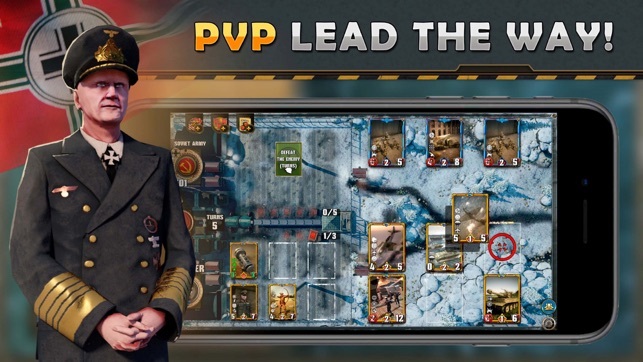 "World War II: TCG" is a free-to-play collectible card game based on the events of World War II. 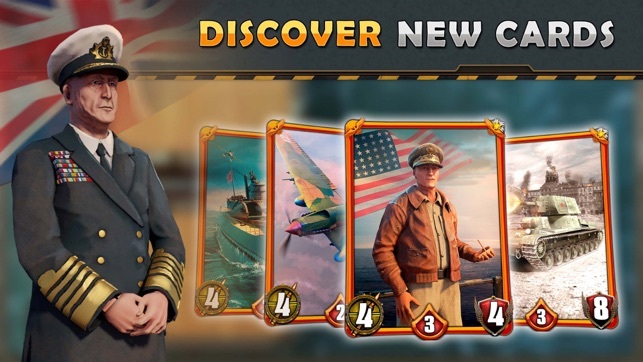 Create your own Army Decks with Tanks, Infantry or Aircrafts and increase your firepower with powerful weapons and strategic orders! 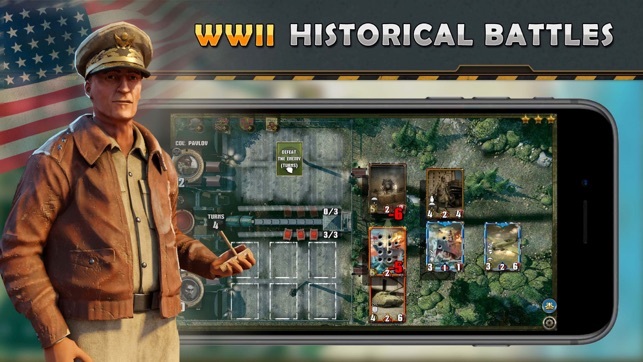 World War II: TCG has a single player mode consists of 190 WW2 missions starting as a soldier and progressing through different battlefields and distributed in 19 campaigns based on historical military events from World War II. The resource system is different from other card games, and can be similar to a wargame, you have 3 action points that you can use to play cards. This mechanic gives a wargame atmosphere and creates different layers of strategy where you have plenty options from turn one. One of the mechanics of WWII : TCG is promoting units. You can use your resources to promote the unit to be more powerful, the card starts as a simple soldier and will gain more stats and abilities while promoting. WWII : TCG has a cross-platform multiplayer online mode where you can fight against other players on the battlefield. 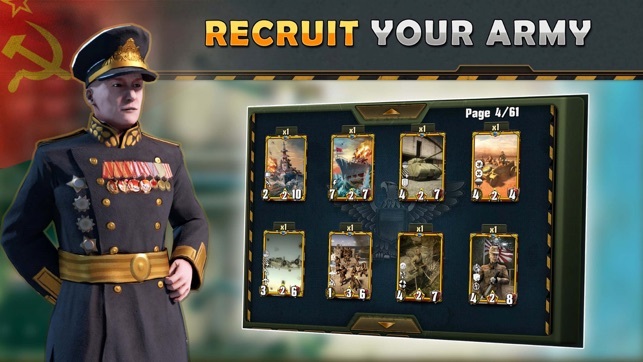 Download this free to play card wargame and enjoy playing against other generals! - Fight on Hundreds of Unique Missions! 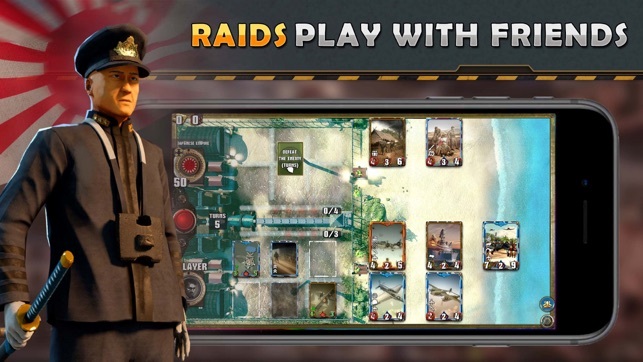 - Play on an exclusive battlefield through different campaigns! 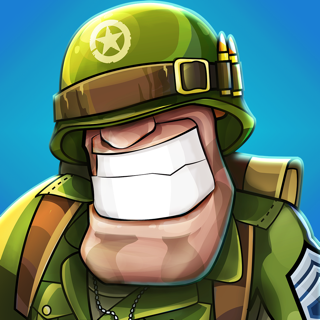 - As a soldier play online against other enemies or practice vs friends! - The historical strategic card wargame! - Added a chat 'emote' feature in PvP to communicate with your opponent during the match. - The chat will be temporary disabled for those players that abuse it. - Several UI adjustments in the XL Card view and the play popup. - Fixed an issue with A6M3 Zero diamond ability. - Fixed an issue with the matchmaking that sometimes the value of the deck was wrongly calculated. - Raids now display the correct amount of gold gained. - Seasonal Dungeon and PvP rewards are now properly displayed. - Fixed an issue when showing player interaction options in the chat. This is the best military game in the store. There are several game modes available. You can collect cards and build decks of the five major powers of wwII. You can join a platoon to get rewards. 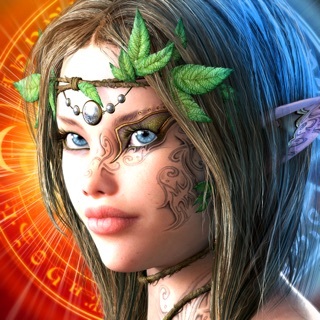 The game is regularly updated and new cards are added. Good game, but what’s demotion card even do? The card just makes my soldiers weaker and what’s the point is it just a wast of resources, can you tell me what can that card even do! ?